always fresh, always firewood burning order today! pesto sauce is also available instead of our tomato sauce. large ½ and ½ pizzas are subject to a $2 surcharge. 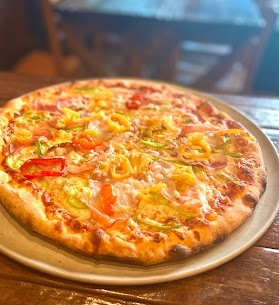 capicollo, back bacon, pepperoni & salami. italian sausage, red peppers, parsley, green onions & hot banana peppers. grilled chicken, basil, garlic & sun-dried tomatoes with our special cream sauce. sautéed red onions, mushrooms, parsley, garlic, parmesan cheese & olive oil in a tomato cream sauce. pasta in a tomato sauce with virgin olive oil, chillies, garlic, sun-dried tomatoes and plenty of mushrooms, artichokes & roma tomatoes. garlic, onions, roma tomatoes, our special meat sauce, parmesan cheese & spices. sautéed shrimp, red peppers and onions in a pesto sauce, topped with Asiago cheese. prawns and scallops in a creamy rose sauce. with Parmiggiano parmesan, green onions, fresh parsley and a hint of chili. fresh pasta layered with our special meat sauce. creamy alfredo pasta Firewood Cafe style! With gorgonzola cheese, chicken stock, fresh parsley and a hint of cayenne. Dine-in to experience a baked gourmet pizza, right out of our oven, the atmosphere is always warm and inviting. The Firewood Staff believe they have a very unique restaurant. There are not very many places in the city where you can go and watch your pizza being baked in an actual Italian wood-burning oven. The different types of wood, whether it is cherry, apple or pine lends its own unique flavour to your pizza. With such a unique oven, we decided there must be gourmet style toppings to add to your pizza in order to bring out the wonderful firewood flavour. Select one of our gourmet pizza creations or make your own combination to suite your taste buds. Feel like something other than a pizza today? Try one of our mouth-watering gourmet pasta dishes, made to order for you especially so that it is the freshest possible. Top this off with our famous garlic bread and a Caesar Salad (which features our own special home-made dressing). We are confident you’ll be back for more. Call us for delivery and we will deliver your order in our HOTBAG, which provides you with hot, fresh pizza from our oven to your door. Our electrically heated delivery bags will keep you completely satisfied with a hotter, fresher pizza. Place your order with our cashier, have a seat and enjoy watching your pizza being baked in our wood-burning oven. RT @RussellBall: @SandraOldfield @TheFirewoodCafe on Cambie is excellent and has been around for many years. 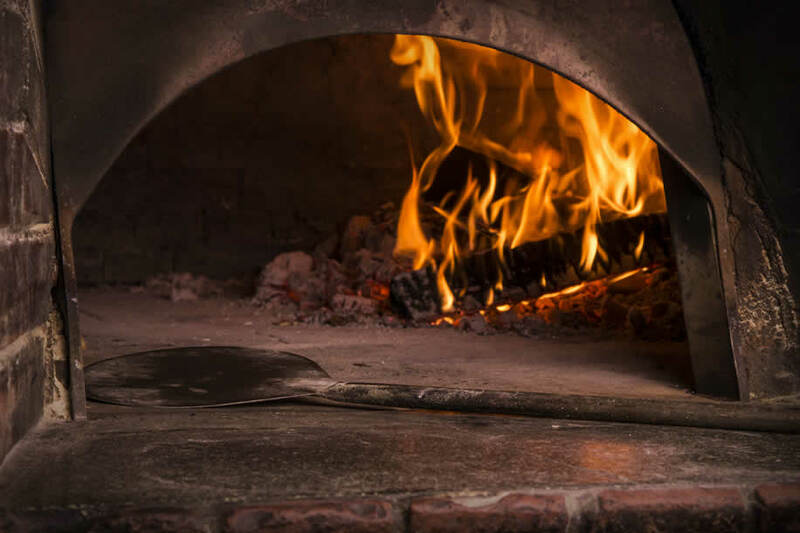 The Firewood Café is very interested in hearing about how you have enjoyed our Firewood burning oven pizza. Tell us who you ate it with, where you ate it and most of all tell us how much fun you have had eating it! The Firewood Café offers Free Delivery with a minimum $14 order, within a 4 km radius. Delivery requests outside this radius are subject to a $4 surcharge. We will have your delivery order to you, usually within 45-60 minutes. Or, if you prefer, we offer a 10% Discount on pizza take-out orders. Call beforehand, and we will have your take-out order ready for you, usually within 25 minutes. (Don't forget to ask us about our monthly pizza take-out specials). All Prices subject to change without notice. GST NOT INCLUDED.